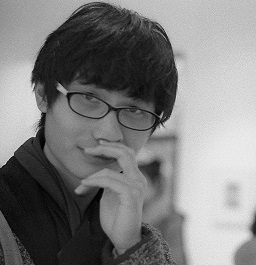 From 2012 to nowadays, Cao Shu is a lecturer teacher in China Academy of Art. From 2012 to nowadays, Cao Shu is teaching as a lecturer teacher in China Academy of Art. He makes animation and installation as the basic media, and taking long-term art plan as the basic clue of work. The solo exhibitions of Cao Shu such as “Nameless”, “Shinippori” have been held in Hangzhou. He has received the New Narrative Award of Long Week of Short Films. His works have been shown in the Annecy International Animation Festival, 39th Clermont-Ferrant International Film Festival, Ottawa International Animation Festival, Kasseler Dokfest, Hannover Film Festival, Holland International Animation Film Festival, Hiroshima International Film Festival, China Image Files Exhibition. His artworks have been collected by different museums and collectors from America, Holland, Australia, Israel, France, Germany and Shanghai. During his studio residency, Cao Shu has participated at a group exhibition at Salon Mondial. This exhibition interweaves interdisciplinary works, dealing in different ways with topics such as memory, time and journey. Cao Shu will present an installation entitled “Sisyphus in the Park Corner” that deciphers the relationship between the visions of memory and virtual technology. The overall exhibition is like a novel, and each GIF is a sentence that altogether form the Jigsaw puzzle of memory.